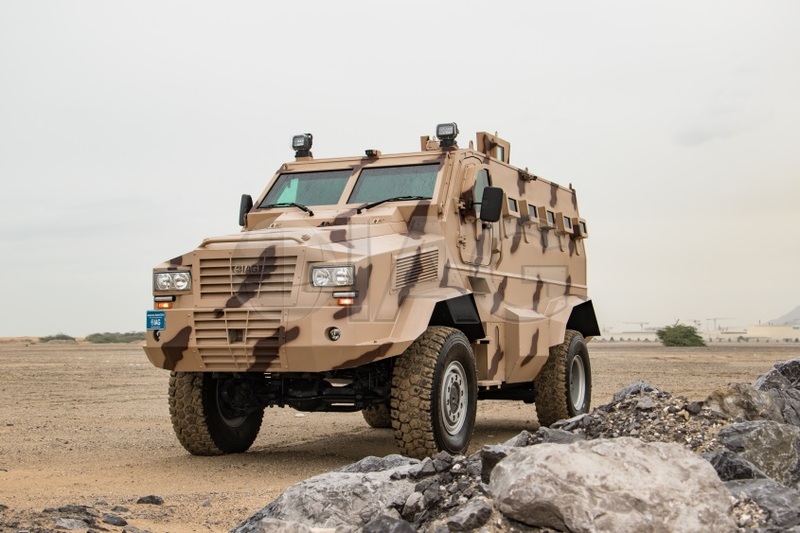 The newest and largest addition to the IAG family of military tactical vehicles is the Rila MRAP (Mine-Resistant Ambush Protected Vehicle) . 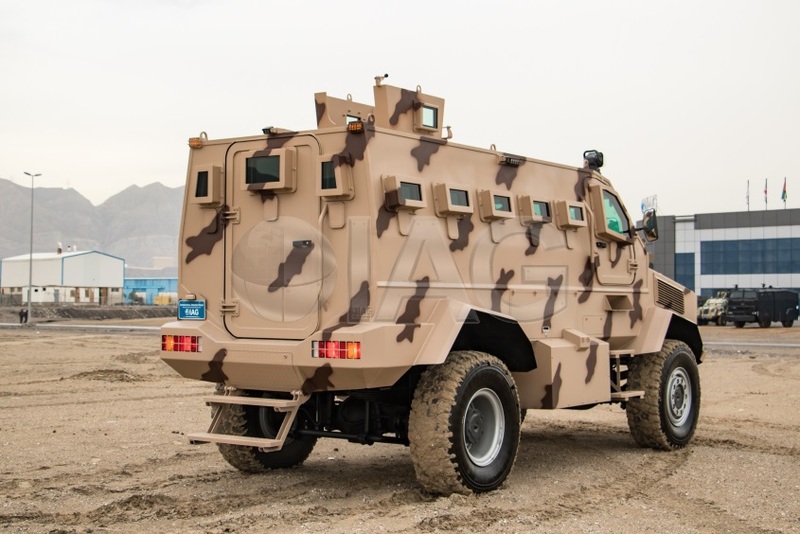 This is the biggest armored personnel carrier that IAG offers with the highest level of protection. 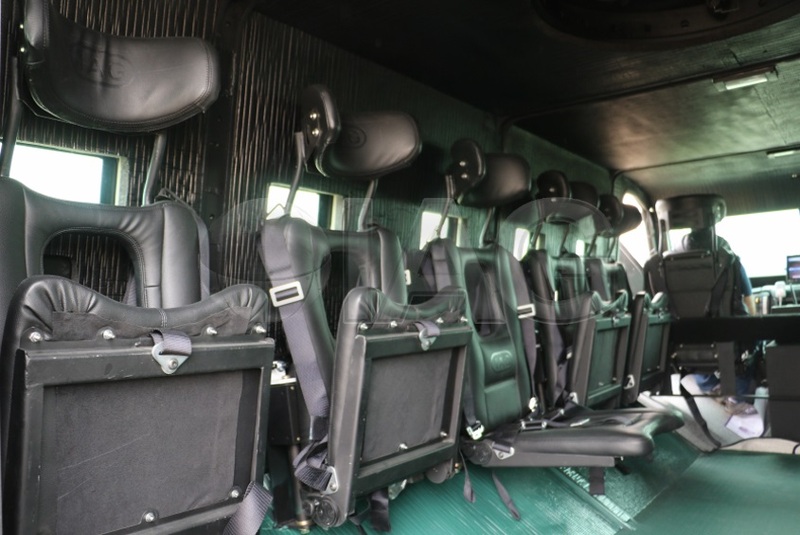 The Rila MRAP can seat up to 12 fully geared personnel situated in blast attenuation seats and offers STANAG Level IV protection with a V-hull shaped floor offering blast protection up to STANAG 3a, 3b and 4a. 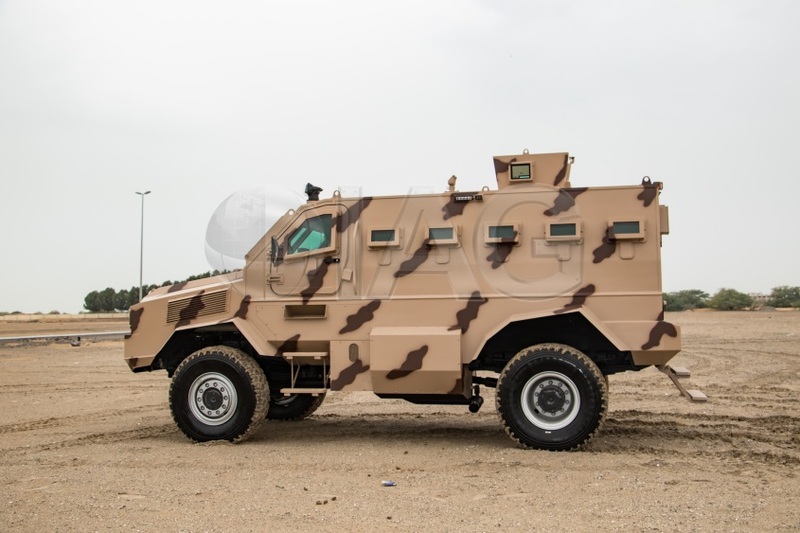 It is available in 4×4 and 6×6 drivetrain with a turbocharged 6 cylinder diesel engine producing 380HP and 810Nm of torque @ 1200-2100rpm. It is available in both 12V and 24V electrical systems. 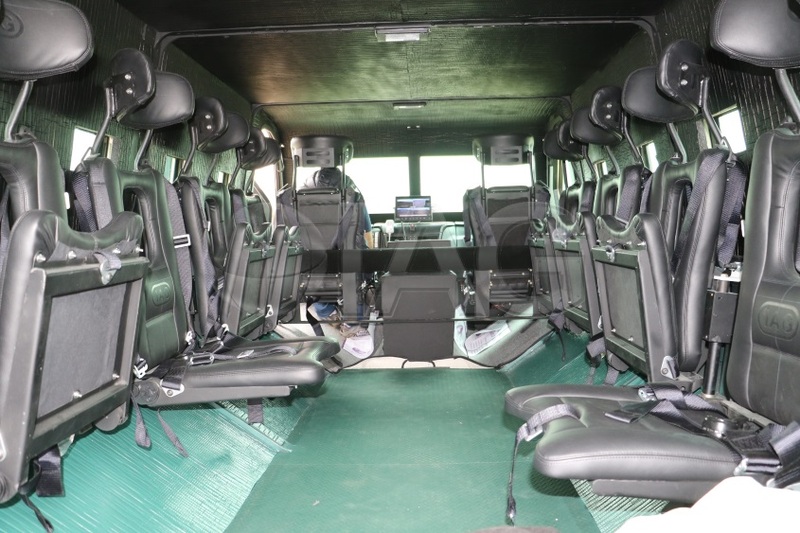 Available configurations include military ambulance package, riot-control package and high payload package for cargo transport.